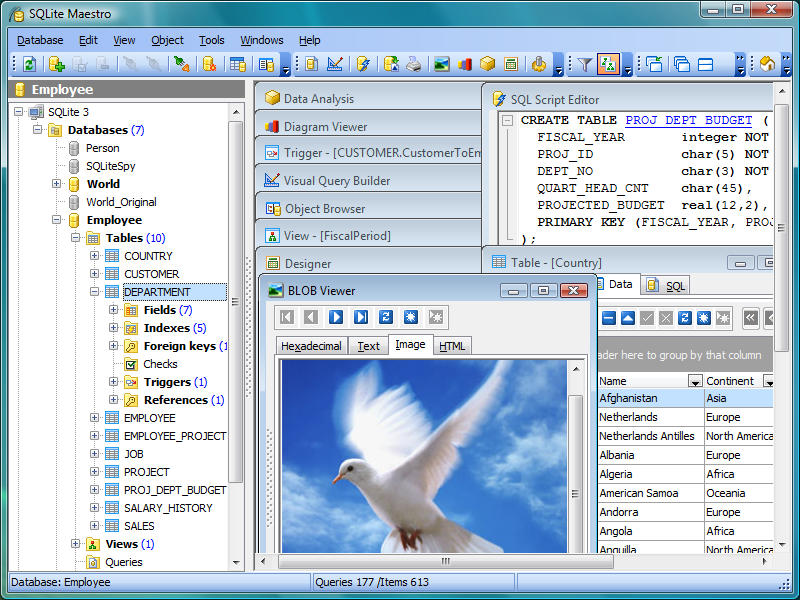 A Windows GUI tool for SQLite administration and database development. Web Site Maestro validates and optimizes your web pages and then uploads them. Massive thesaurus with an integrated dictionary, anagram and word-searcher. A Windows GUI tool for MySQL administration and database development. A Windows GUI tool for MaxDB administration and database development. Make wonderful slideshows and screensavers from your pictures with this tool. Qweas is providing links to SQLite Maestro 12.1 as a courtesy, and makes no representations regarding SQLite Maestro or any other applications or any information related thereto. Any questions, complaints or claims regarding this application SQLite Maestro 12.1 must be directed to the appropriate software vendor. You may click the publisher link of SQLite Maestro on the top of this page to get more details about the vendor.